Brrrr! Now that December is upon us, it’s starting to feel a lot like Christmas. 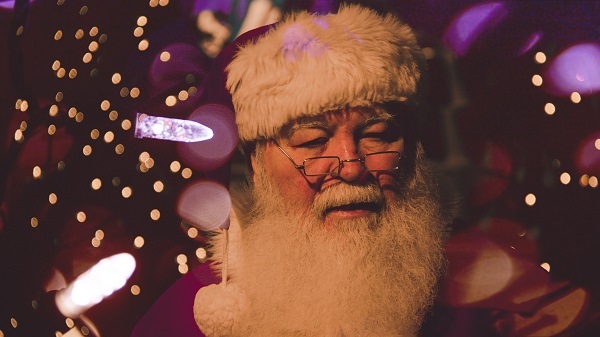 Kensington and Chelsea boasts some of the most magical festive events in London so with only three weeks to go until the big day, read our guide to the best local Christmas events for adults and kids alike. What – After 10 years, Winter Wonderland is now a regular fixture on the London Christmas Scene. It gets bigger and better every year with 2017 boasting not only a huge Christmas market but also the largest open-air ice rink in the UK, a mini alpine-style village boasting private karaoke huts, an ice bar, a magical ice kingdom full of deep sea ice sculptures, Cinderella on Ice show, Zippos Christmas Circus, Cirque Beserk daredevil circus and a giant observation wheel. If you want to get into the festive spirit with family, friends or even work colleagues (! ), this is the place. 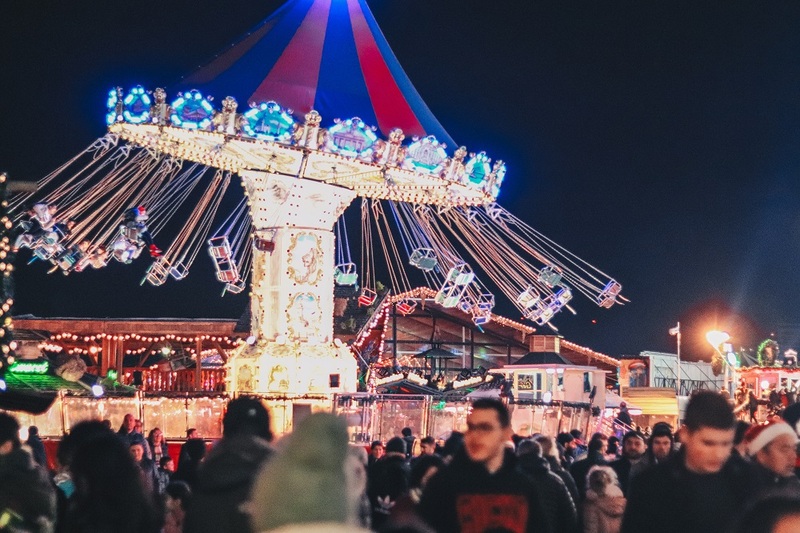 Winter Wonderland gets busy at weekends and in the evenings so it’s well worth planning your trip in advance and buying tickets for the attractions you want to see. What – Come along for a candlelit Christmas celebration at the newly restored Saint John’s Notting Hill. You will enjoy performances and readings by Christiane Amanpour, Alexander Armstrong, Harry Enfield, Sebastian Faulks, Cressida Bonas as well as local school choirs and others. The service will be followed by drinks and food from Daylesford Organic and all proceeds go to Bloodwise, the leading blood cancer research charity. Please wear red to get into the spirit of the occasion. What – One of London’s most magical ice rinks is open again this year. Set against the backdrop of the iconic Waterhouse Building, the ice rink at the Natural History Museum is the perfect place to get into the festive spirit. Skaters are surrounded by fairy lights nestled in frost-covered trees, with the smell of mulled wine and toasted marshmallows in the air. A Café Bar next to the rink has a bird’s-eye view of the skaters and is open daily until the Ice Rink closes with hot drinks such as hot chocolate and mulled wine or beer, wine and soft drinks. What – This December the Royal Albert Hall has been transformed into a festive wonderland, where families can discover snowy scenes and enchanting characters behind mysterious doorways. Children and parents are invited on an immersive, interactive journey through this wonderful world, guided by magical characters, including the Snow Queen. 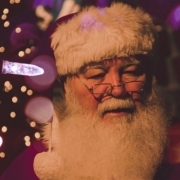 The quest will end at Father Christmas’ magical sleigh, where children will meet Father Christmas, receive a present and have the opportunity for a photo with him. The experience lasts about an hour. As well as Father Christmas, the Royal Albert Hall also has a host of Christmas concerts throughout December including several carol concerts so check out their What’s On page to find something that suits you. What – This year’s Christmas Tree at the V&A has been conceived by set designer Es Devlin. Best known for the illuminated sculptures she produces for the likes of the Royal Opera House and National Theatre and with artists such as Beyonce, Kanye West and Adele, Es Devlin has created a Singing Tree for the V&A. This interactive tree will be brought to life via machine learning and thousands of works collected from members of the public. Throughout the festive season, visitors will be invited to contribute a festive word which will be used to create and audio visual carol. This carol will illuminate the tree accompanied by a choir of human and synthesised voices. As well as this very special tree, the V&A is also holding a series of festive events such as Choirs by Candlelight, Wreath Making and festive pop up performances. How will the Budget 2017 affect the London property market?